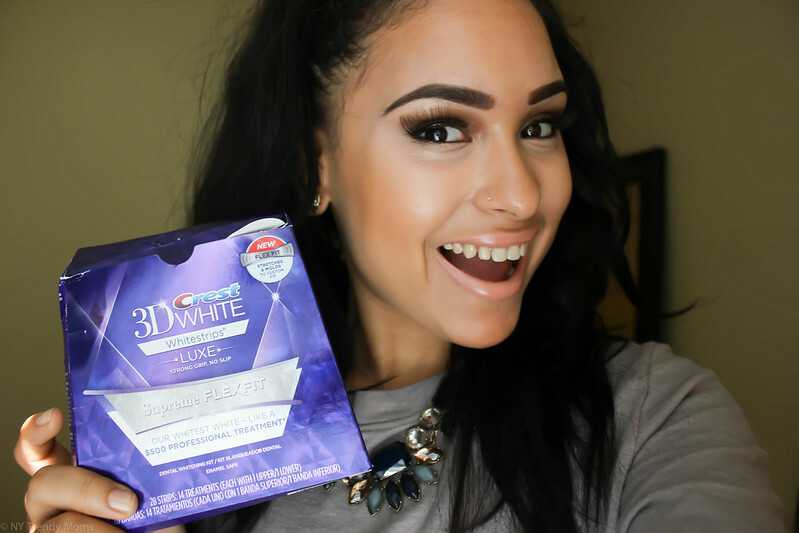 I'm so excited to announce that I will be taking the two week, Crest 3D White whitening challenge using Crest 3D White Whitestrips Luxe Supreme FlexFit. I've never tried any whitening products before and never thought I needed them because I don't drink coffee nor do I smoke. I think part of it was being in denial and not wanting to admit that my teeth could be a little whiter. I finally gave-in after seeing before-and-after photos of this challenge and wanted to share my transformation with you guys from start to finish. I cannot wait to see the results. I will be updating you on my social media accounts in mid process to show you what it looks like, then, in two weeks I will be sharing with you the final results. If I love it, I will have a giveaway at the end of the challenge so you guys can try it as well. I would love for you guys to take the challenge with me and share your process. If you decided to start the process too make sure to Include @3DWhite #3DWhiteSmile on any photo you upload. Estoy tan emocionada de anunciar que voy a tomar el desafío de dos semanas con Crest 3D. Nunca he probado los productos de blanqueamiento antes y nunca pensé que los necesitaba porque yo no tomo café ni fumo. Creo que no quería admitir que mis dientes podrían ser un poco más blancos. Finalmente me rendí después de ver fotos de personas que tomaron el desafío y quería compartir mi transformación con ustedes de principio a fin. No puedo esperar para ver los resultados. Voy a estar actualizando los en mis cuentas de redes sociales a mediado proceso y en dos semanas voy a compartir con ustedes los resultados finales. Si me encanta, voy a tener un sorteo al final del desafío por lo que ustedes pueden probarlo también. Me encantaría que ustedes tomaran el reto conmigo y compartan su proceso. Si ha decidido iniciar el proceso, asegúrese de incluir @3DWhite #3DWhiteSmile en cualquier fotografía que suba. This post is in collaboration with Crest 3D. As always all opinions are my own. Thanks for supporting the brands and collaborations that make NY Trendy Moms possible.